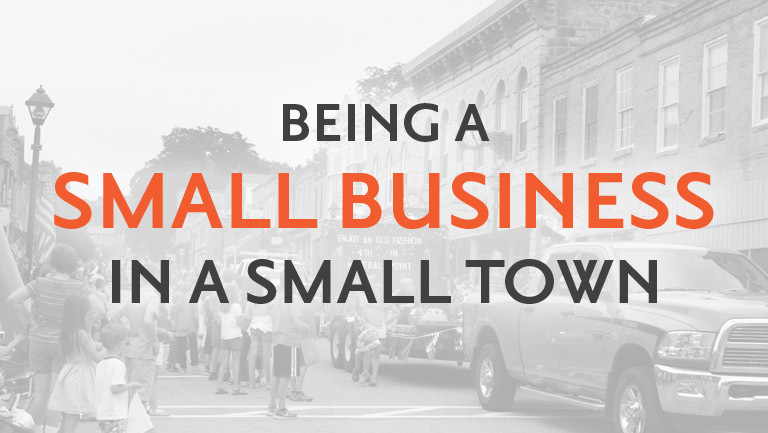 While walking up a packed street full of trucks, tractors, crepe paper lined wagons, and energetic children, I realized how fortunate we are to have our business located in a small town. I was right in the middle of the parade lineup for the Fourth of July in Mineral Point, Wisconsin. I passed the float for an athletic facility funding campaign that we have been helping with design work for the last three years. 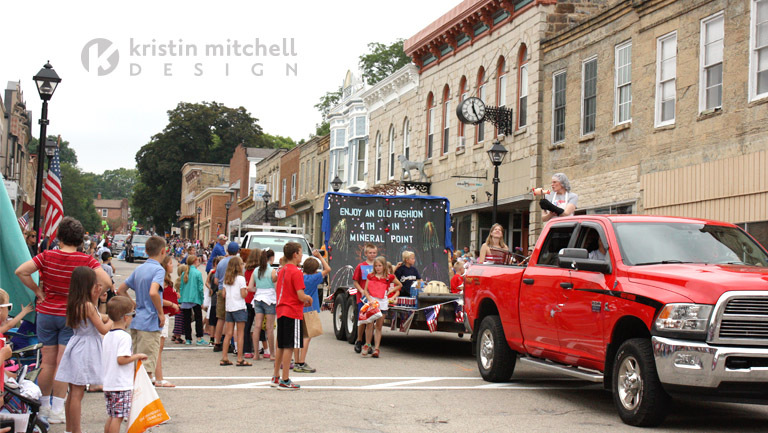 As I continued up the street I found Kristin ready to walk with a banner for the newly formed Mineral Point Community Foundation, a recipient of our Design for the Greater Good program. I continued up the street so I could walk with a float for a family member’s new business and I saw a float for a local politician whose branding we did. Walking down the High Street parade route I saw generations of families sitting together. Parents were yelling at kids not to get too far out in the street in their quest for candy. The sidewalks were so packed they were almost impassable. The older folks sat back in the shade provided by the historic buildings just taking in the scene. Familiar faces smiled back at me. Some of them were our clients, some of them we do business with, some of them were friends and family, and some of them we just know from around town. All of these people form a community we are proud to be a part of. We work with companies across the United States. With today’s technology we don’t need to be located within driving distance of all of our clients. The advantages to having our business in a small town greatly outweigh the advantages to being located in a big city. We value being able to make a tangible impact on our local community. We value the relationships we are able to build. We value the support system that surrounds us. Regardless where you live, never underestimate your ability to have a positive impact on the people around you.